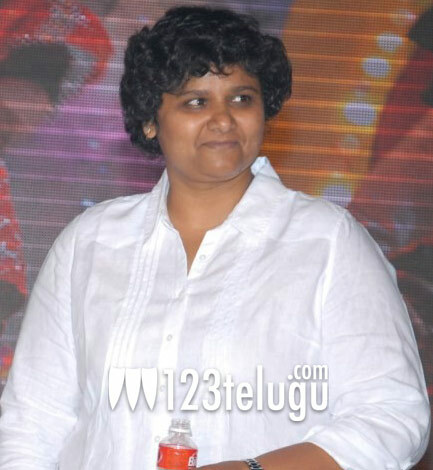 Nandini Reddy made a mark for herself as a sensible and talented director with ‘Ala Modalaindi’. She is now coming up with her second offering, ‘Jabardasth’, and we caught up with her for an exclusive interview. In a candid interview, Nandini Reddy spoke about the movie, her upcoming projects and the issues she faced with the censor board. Read on to see what she has to say. Q. Your last film ‘Ala Modalaindi’ was a super hit, so expectations will be high on ‘Jabardasth’. How are you coping? A. I am happy with how Jabardasth has turned out. Naturally, there will be some nervousness (Smiles). The movie is over now, so let us wait for the result. Q. For the first time, you are directing two big stars. How was the experience? A. It was very easy. I believe people connect with you based on how you approach them. I treated them as good actors and never as big stars, and they respected me for my command over the script. It was a mutually comfortable relationship. Q. Siddharth is not known for his mass comedies. Do you think it is a risk? A. My question is, why make the same kind of films with Siddharth over and over again and then complain that he is getting repetitive? It took me a while to shake that off and try something new with him, but we managed to do something good here. This film will be a revelation for Siddharth’s fans and for viewers in general. People who have not really liked him in the past will fall in love with him this time. Q. This seems to be a romantic comedy..Is that your comfort zone? A. This is not a romantic comedy!! People are just making that assumption. This is a comedy film with some romance. There is more comedy and less romance in my film. Q. Sometime ago, you said that you want to make a thriller. Is that plan on? A. I may do a thriller or I may do something different. I do not want to become predictable and repetitive. As a director, for my own sanity and my own creative satisfaction, I will deal with different genres. It all depends on what I want to do at that particular point of time. Q. So how did Jabardasth happen? A. Immediately after ‘Ala Modalaindhi’ released , Mr. Bellamkonda Suresh signed me for a film. Samantha was the first to come on board. Incidentally,I happened to meet her through Nithya. We went out for lunch together and I narrated a story line to her. She immediately accepted. After that, Siddharth joined the team. Q.Were Siddharth and Samantha your first choices for this film? A. (Thinks). Well, I wrote a romantic story with Siddharth in mind. I planned that as my second film and ‘Jabardasth’ as my third film. But when Samantha heard the story of ‘Jabardasth’, she was excited and encouraged me to attempt this first. She also encouraged me to make this film with Siddharth, saying “A good actor can pull anything off”. I agreed. ‘Pokiri’ was refreshingly new for Mahesh and it worked. ‘Mass’ was quite fresh for Nagarjuna and it worked. I am very happy about how things turned out with Siddharth. Q. You have had some censor issues for this movie. What happened? A. After ‘Vishwaroopam’, our censor board has gone into panic mode. Instead of trying to censor films and categorise them for the public, they are now trying to predict and ensure that no controversies come up after release. The censor board objected to ‘Allah Allah’ song. They did not want my actors dancing when the words ‘Allah Allah’ are heard. If you take Abbas Mustan’s ‘Race’, there is a song ‘Allah Duhai Hai’ and the film played without issues all over the world, including in hardline Muslim countries. Take ‘Ek tha Tiger’, there is the song ‘Mashallah Mashallah’. No one has objected to it. I tried to reason with the board and asked them to atleast have a consistent and uniform policy. I did not have time on hands to fight them, so I reluctantly agreed to their changes in the end. Q. Will these kind of restrictions and objections influence you in your future script decisions? A. The sad part is,it is already happening. The censor board’s decisions are counterproductive. I am a proud Hyderabadi and I have a lot of Muslim friends. I want to pay tribute to my city’s Islamic heritage. I am fond of Qawwalis and I want to incorporate them in my films. But the censor board’s extreme actions are ensuring that people are now scared to include anything with Islamic references in films. With these kind of restrictions, all Islamic content will be left out of mainstream cinema since no one wants to take a risk with the censor board. That is not at all good. Q. As a woman, do you face any issues or prejudice in the industry? A. Well it is not my problem if someone is prejudiced (Smiles). Gender bias issue does exist in the industry. Let us not pretend and say that it does not exist. It mainly comes in the area of project execution. For example, ‘Ala Modalaindi’ would have been made 3 -4 years earlier if I were a guy. And perhaps, some people would not have termed it as a ‘fluke hit’. Q. Are you still interested in photography? What else do you do in your free time? A. Oh yes. I still take a few photos when I can. I spend time looking at good photographs. Apart from that, reading and music take up my free time. I also am a big foodie. Q. Is there some aspect of Nandini Reddy that is not very well known? A. I am a lazy bug (laughs). My ideal spiritual guru would be Garfield. If left to me, I would perhaps make one film every three years and keep travelling around the world. Q. What are your upcoming projects? Any plans to direct films in other languages? A. I will be making a film for producer Paruchuri Prasad next. As for other languages, I want to direct a Hindi film. But Bollywood is a different ball game altogether and a lot of work needs to be done before attempting anything there. Let us see. Q. What can viewers expect from Jabardasth? A. ‘Jabardasth’ will be a very entertaining film. Come and have loads of fun for two and a half hours. Do not take things too seriously, it is just a film. With that, Nandini Reddy signed off. ‘Jabardasth’ is getting ready for release on 22nd February folks, so get ready to have a jabardasth time.